Your experience about the impact on children when parents split up. Jane Garvey is joined by psychologist Penelope Leach and Penny Mansfield of couples' charity One Plus One. Woman's Hour wants to hear your experience of the impact of splitting up when you have children. Lines open at 08.00 on Monday morning. Call 03700 100 444. Presenter Jane Garvey is joined by guests, psychologist Penelope Leach and Penny Mansfield of couples' charity One Plus One. When parents separate and there are children involved, how easy is it to put the child first and limit any damage to them? Parenting expert Penelope Leach found herself in the eye of a storm recently over how advice in her latest book on family breakdown was portrayed, and joined Woman’s Hour to discuss her views last week. 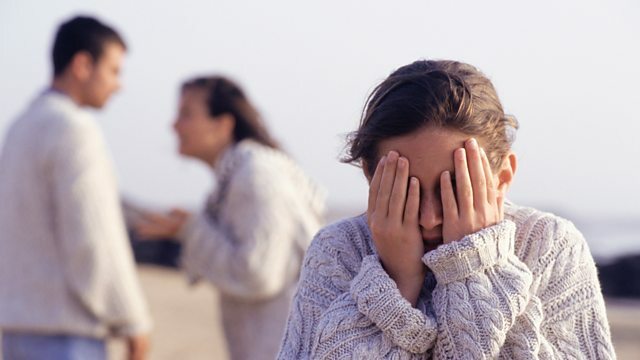 Today we want to hear your experience of splitting up and how you’re handling the relationship with your child’s father or mother. If your parents split up, how did they deal with it, and what’s been the impact on your life? Penelope Leach will be back in the studio with Jane Garvey, alongside Penny Mansfield, Director of the couples and families charity One Plus One.